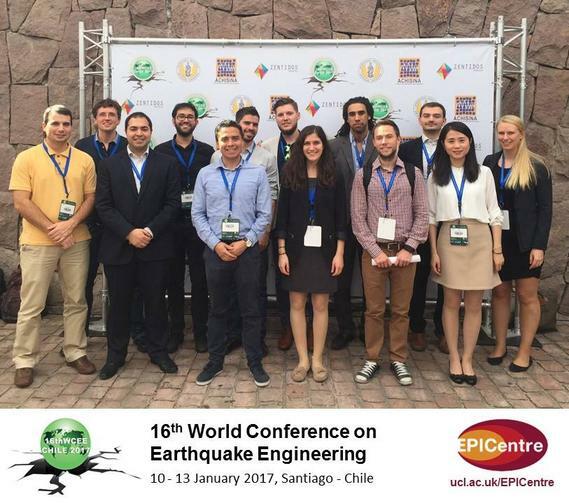 com/">16th World Conference on Earthquake Engineering took place in Santiago, Chile, between Tuesday 10th and Friday 13th, January 2017. These world conferences have been taking place every four years from their inception in 1956 and offer a stimulating environment for the global exchange of knowledge, ideas, research results and practical experience. Chile is one of the most seismic countries of the world, in 1960 the largest magnitude earthquake recorded by humankind occurred in Valdivia, which characterises the challenges of Chilean earthquake engineering. 16 EPICentre researchers and alumni participated and delivered more than 20 presentations, ensuring a strong representation for UCL and CEGE.